RVTools is one of the best FREE tools available which helps consultants and system administrators in inventory and managing a VMware vSphere infrastructure. It offers a lot of information on the configuration of storage, network, virtual machines, ESX hosts and a LOT more. Information can easily be downloaded in CSV format so you can do for example capacity planning. With RVTools you can disconnect the cd-rom or floppy drives from the virtual machines and RVTools is able to update the VMware Tools installed inside each virtual machine to the latest version. If you do not know RVTools I strongly recommend to download the tool and see for yourself how useful it is and makes your life much easier. You won’t regret. Today version 3.3 of RVTools was released. If you are unaware of what RVTools is for your VMware environment: This free tool is able to give a complete overview of a VMware vSphere infrastructure. Properties of virtual machines, datastores, networking, memory etc etc. Reports can be exported to text and CSV format. A great tool. Download here. On vDatastore tab the definition of the Provisioned MB and In Use MB columns was confusing! This is changed now. Bugfix: Improved exception handling on vCPU tab. Bugfix: Improved exception handling on vDatastore tab. 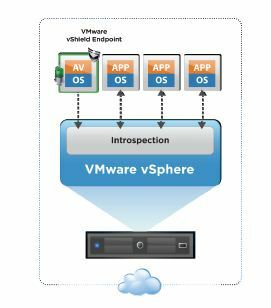 VMware vShield Endpoint is a middleware solution which allows vendors of anti-virus solutions to use a set of API’s to scan and detect virusses. For an overview see this FAQ. Instead of the legacy anti-virus solutions which run inside a guest perating system (and consuming valuable CPU, memory and disk resources) vShield App does protection at the VMware kernel level. Thus reducing the resources consumption. Very important in VDI-infrastructures. Until now Trend Micro is the only vendor delivering an anti-virus solution based on VMware vShield Endpoint. However Kaspersky Lab announced it will release a product later this year. Kaspersky Lab, a leading developer of Internet security solutions that defend against computer viruses, spyware and all forms of malicious software, announces upcoming support for VMware vShield™ Endpoint to be delivered later this year. Kaspersky’s support of VMware vShield Endpoint will offer comprehensive protection for virtual machines from the latest malware threats without compromising speed and performance. VMware vShield Endpoint streamlines and accelerates antivirus and anti-malware processing. It improves performance and provides comprehensive security by eliminating the need for agents in every virtual machine. In addition, the solution optimizes resource utilization by offloading anti-virus processing to a single security virtual machine, delivered by Kaspersky Lab. Incorrect alignment of the VMware virtual disk on the storage array layer can result in performance issues. Basically it means the storage array needs to read two blocks of data instead of one when disk is properly aligned. This has a negative effect on the disk performance and thus application. Lots of information can be found on the internet. A good article which explains alignment written by Duncan Epping can be found here. Alignment is done correctly by Windows Server 2008 and Windows 7 but other guest operating systems might need a manual re-alignment. This freshly developed, new and free tool will check if alignment if correct, perform correction on the alignment and even reclaim diskspace. Take some time to read the various posting, it can help save some disk problems. More info on UBERAlign and download here. A *MUST* have tool for any VMware administrator, consultant etc wanting to have information on the VMware infrastructure is RVTools. This free tool developed by Rob de Veij from the Netherlands shows you about anything on ESX hosts, virtual machines, networking and storage. Overviews can be exported to CSV for import in for instance Excel. Very handy to do calculations on resource consumption. If you do not know this tool, download it now. You will not regret! Bugfix: Improved exception handling on vPort tab. In 2011 VMware will release several apps for the Apple iPad. One will be able to manage the virtual infrastructure (hosts, virtual machines) and will have similar functionality as the vSphere Client. Another soon the be released app will be the VMware View client. Users can access virtual desktops from their iPad. A third app is for vCloud Request Manager. A video showing demos of all three apps recorded at VMworld Europe in October 2010 can be seen here. More information on VMware applications running on mobile devices can be found here. In June 2011 VMware announced the public beta of VMware Converter Standalone version 5. This version will have alignment. Alignment is important to get the most out of the storage. See this posting for more info. Two of the most used tools for converting physical servers to virtual machines are VMware Converter and PlateSpin Migrate (formerly known as PlateSpin PowerConvert). While the VMware tool is free to use, for the use of PlateSpin counterpart you need a paid license. Setup of both products is fairly easy. VMware Converter setup is basicly next,next, finish. Setup of PlateSpin Migrate is a three step process: install the free SQL Server Express database (or create a database instance on one of your SQL servers), install the PlateSpin Migrate Server and last install the client. Make sure you are local admin and User Access Control is disabled as this can cause issues during installation. Another very usefull feature of PlateSpin Migrate is the ability to perform the IP-configuration on the target server. After the data transfer has ended, the target vm is started and PlateSpin configures the IP-configuration. This can be the same ip address, netmask, gateway etc as the source, it can also be a different configuration. VMware Converter does not do post configuration. After conversion has finished you will need to either manually enter IP details or use a script. Obviously this is more time consuming and likely to create errors. VMware Converter Standalone is free. 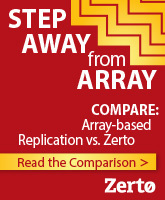 I believe VMware does not give support on this. PlateSpin has great support on the product. If there is an issue, a Support Request can be issued on the Novell website and a support engineer will contact you. The response is fast and almost always very helpfull. Discovery: while PlateSpin was able to discover most of the servers instantly, I found VMware Converter had some problems. Initially it could not connect to the source server, the next try it did with nothing changed. This problem is reported on several sites. One of the solutions mentioned is to install the VMware Converter client on the source server. Also restarting VSS services might help. support of vSphere features: while PlateSpin Migrate is regarded as the top tool for performing conversions, it lacked for a long time support for vSphere distributed switches. Support was added in version 9, long after distributed switched became available. It also does not support the creation of thin provisioned disks. VMware Converter Standalone Edition supports both distributed switches and thin provisioned disks. Support for platforms: VMware Converter supports P2V conversion to VMware ESX 3 and 4 hosts and vCenter Servers. PlateSpin Migrate supports conversions to VMware ESX, vCenter, Hyper-V hosts, Citrix XenServer and Virtual Iron. Disk alignment: PlateSpin Migrate is able to align the first partition of the virtual disk while doing a X2V conversion. Alignment can be important in cases where diskresources are used intensively. See various articles on the internet on how to align the disks of the guest operating system. VMware Converter does not align disks. A not aligned partition can reduce disk performance with 10 to 30%. conversion: VMware Converter is able to tranfer data to the newly created virtual machine without a helper virtual machine. This is an advantage over PlateSpin migrate in my opinion. Migrate is creating a target virtual machine during conversion. This loads a Windows PE operating system. This connects over the network to the source server. In my experiece this is most more funerable for errors. In some cases Windows PE does not have enough internal memory assigned and the conversion stops because of that. Post conversion: Using VMware Converter you will need to delete devices like the network adapters before being able to manually reconfigure the IP-settings of the adapter(s). The adapters are hidden. PlateSpin Converter however is able to delete the adapters, and automatically configuere the IP-configuration as defined in the conversion job. This will save you some time and prevents making errors in the post conversion stage. Deletion of hardware like Dell OpenManage can be scripted. a full migration job is which a virtual machine is created and all the data is being copied from the source server to the target server. a server sync tranfer job in which only the changed data is being tranfered from the source to the target server. The server sync option (for either file or block based synchronization) will save the downtime of an application and the number of working hours. A source server having lots of data can be ‘prepared’ by performing a full migration. All the data is copied to the virtual machine disk files. This can be done during office hours using a hot migration: the server and application remains online. This works even if the application is using a database. 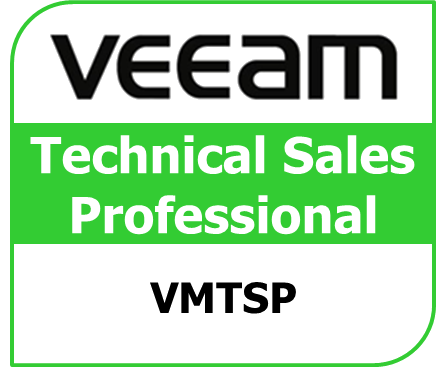 Prerequisite is that the database support VSS and the operating system is Windows Server 2003 SP1 or later. When the server has been prepared, it can be tested by the application owner. This test however is a bit limited as the prepared virtual machine is not connected to the production network. In most cases it will have the same servername and ip-configuration. During off hours the server sync can be performed. 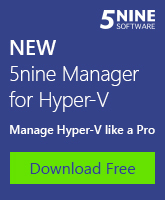 As most data is already available in the virtual machine, the tranfers will take much less time than a full copy. After the data sync has completed, the source server can be switched off and the virtual machine can be connected to the production network. VMware converter is able to perform a post-conversion synchronization. Initially it will convert the phyisical server. At the end of the conversion it will tranfers the data which has been changed during the conversion. It is not able to sync data between physical server and virtual server with a couple of days or hours between the initial creation and sync as PlateSpin Migrate does. VMware Converter has a simple to use interface. It does what it has to do. PlateSpin Migrate has far more options and is less easy to use. I experienced quite a lot of issues while doing the conversions. The errors displayed in the logs points to URL’s on the Platespin website. However, it does not show any solution to solve the problems. It is very difficult to troubleshoot because you do not know what is going on under the hood of PlateSpin. A support contract is a must if you are performing critical conversions with tight deadlines. Unfortunately Platespin Migrate is not able to perform file based tranfers if the source volume has many files. In my case a source server had over 30.000 small files on a volume. The file transfer stalled at 1%. The solution was to use block level tranfer. Be prepared for a steep learning curve on PlateSpin as you are likely to run into issues some time or later. For a small number of conversions with source server having small partitions, the free VMware Converter will in most cases be a good solution. This week VMworld is being held in San Francisco. Today, Monday is dedicated for VMware Partners. Tuesday, Wednesday and Thursday is open for everyone and will be full with keynotes, breakout sessions, labs etc etc. I will do my best to keep you updated on the news! Today the new features of vCenter Chargeback 1.5 were presented at VMworld. VMware vCenter Chargeback delivers a pay as you go solution for resource tracking and billing. In the days of physical servers, a customer or department of an organization paid for the cost of the physical server and operational costs. This is not a fair system. A customer using all of the resources (CPU, internal memory) of a server pays the same amount of money for a customer which is not using all the resources. This happens because most companies standardize on a limited number of server types (one small, one medium and one large sized server for example). Using virtual servers, it is easy to assign a certain amount of resources to a virtual machine. One VM can have a maximum of 8 GB of internal memory, while another only gets 1 GB assigned. It is quite easy to send a bill to the customer based on the reserved amount of money or the average usage of resources. Heavy users pay more than small users. VMware has vCenter Chargeback available to track resource usage and create reports which can be used as input for billing (chageback). Version 1.0 was lacking some features and I believe it is quite expensive compared to one of it’s competitors, Vkernel Chargeback. VMware vCenter Chargeback 1.5 will be available September 1 2010. Licensing will be based on the number of powered-on virtual machines managed by vCenter Server. The current release is licensed per CPU socket. This is less attractive for customers. CA Arcserve for Windows r12.5 is able to backup virtual machine over the network (the tradional way of making backups) and using a direct SAN connection. In this case the virtual machine disk files (vmdk) are copied to the backup server. I believe Arcserve calls this a raw backup. This method delivers a much faster backup and faster and easier restore. Arcserve uses for direct SAN backup the Virtual Disk Development Kit of VDDK. The solution to solve this problem is renaming your vmdk files. Not an easy job if you are having a lot of VM’s running. See Arcserve Knowledgebase article for more information. You need a CA Support Online account for this. Download a PDF of the article TEC512189 here. Together with the release of vSphere 4.1 VMware as well released vCenter Converter version 4.2. VMware vSphere 4.1 is the last major release for VMware vCenter Converter plug-in. VMware will continue to provide technical support for vCenter Converter through the end of its support lifecycle. VMware will continue to update and support the free vCenter Converter Standalone product, which enables conversions from sources such as physical machines, VMware and Microsoft virtual machine formats, and certain third-party disk image formats. To automate tasks in a VMware Infrastructure environment the VI Toolkit can be very handy. Using Powershell language lots of tasks can be automated. Automated tasks save time and can prevent errors. Using Powershell for VMware is getting very populair. The session called ‘TA01 Managing VMware With PowerShell’ was rated number 1 in the list of most populair sessions during VMworld Europe 2009 in Cannes. The hands-on-lab was also very populair. A video of the session can be seen via the links below. Thanks to Erik Sloof for all the hard work to publish these videos. OpsCheck checks your VMotion configuration for free! OpsCheck is a handy free tool which checks your VMotion configuration. OpsCheck is made by the same team which made ConfigCheck, a free tool to asses the security of your ESX infrastructure. “Leveraging Tripwire’s core expertise in configuration management, OpsCheck analyzes configurations of ESX servers and their VMs, many of which are often easily overlooked. If OpsCheck discovers any configuration discrepancies that affect VMotion, Tripwire’s VMotion Troubleshooting Guidance provides tactical, specific recommendations for your environment, allowing you to immediately bring your system into a “VMotionable” state. 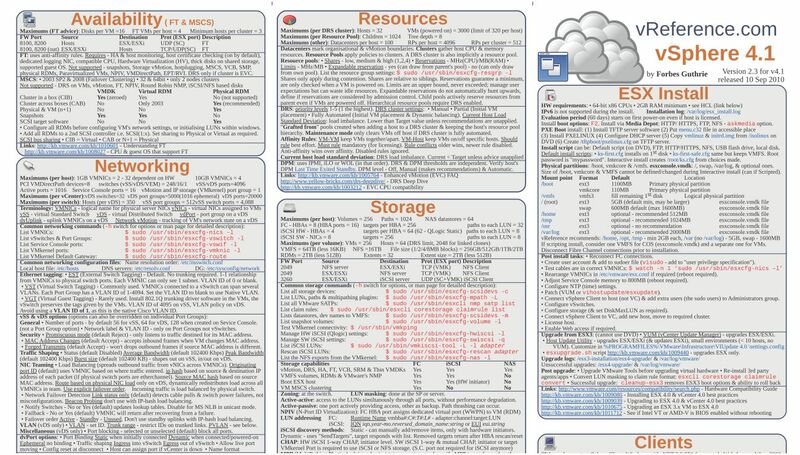 A very usefull tool to display about everything you want to know about your ESX hosts and virtual machines is RV Tools. Interacting with VirtualCenter 2.x or ESX 3.x RVTools is able to list information about cpu, memory, disks, nics, cd-rom, floppy drives, snapshots, VMware tools, ESX hosts and datastores. With RVTools you can disconnect the cd-rom or floppy drives from the virtual machines and RVTools is able to list the current version of the VMware Tools installed inside each virtual machine. and update them to the latest version.